Sam Hiscox, better known as Imba is a Bristol UK based Drum & Bass Producer/DJ to keep both eyes on. Spending his fledgeling years in the studio honing his production style by experimenting with many genres and drawing influence from a multitude of artists including Spectrasoul, Lenzman, Break, Kimyan Law, Culprate, Hybrid Minds, Technimatic and Koan Sound, his diversity of creative input is apparent in his productions. A shimmering, evolving soundscape sets the tone for this deeply emotive 2 track release as the intro of 'Just A Phase' rolls out. A crispy clean break and progressive layers of harmonising vocals lift the track to the next level before the drop. Vocalist Leah Costello delivers a soothing yet catchy performance, and that coupled with the addition of a resonating guitar lick makes this one a real earworm. DJs will be all over this one, itâs perfect for the mix, sitting right on the groove of 2016âs liquid revolution. Another immersive intro of emerging pads and lush harmonics signal the start of the heartfelt 'Departure'. 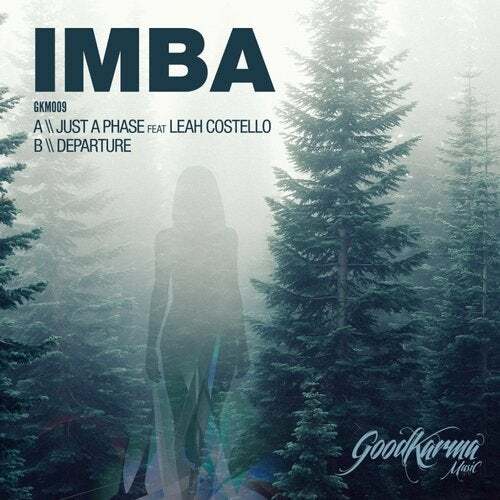 Warm enveloping basslines pull you straight into the drop with a backdrop of subtle yet present pads and Imba's signature soft keys pepper the mix and paint a vivid picture without the need for a vocal. Perfectly applied to any situation, wether it being played out in a club, on a Hi-Fi at home or in the car or on the train, this release is a refreshing breath of real authentic Drum & Bass straight from the heart, for those who love to truly get lost in the music.